Greece, Greece, Greece! That is what is dominating today’s headlines, of course. As usual, though, my function here at €S is not to point out to you something you have probably already heard about from some other source, but rather to come up with material you likely would not ordinarily have run across (primarily due to language barriers). There’s nothing along that line that I have found, yet, when it comes to Greece. Grease, though: that may be another matter. For who can resist this (well, if you read Spanish)? 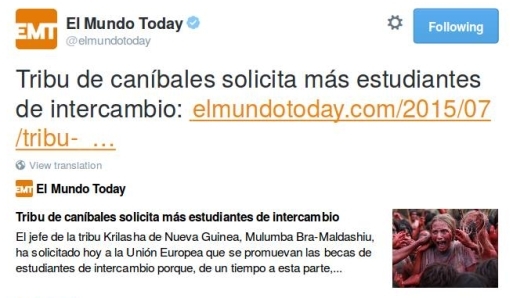 “Tribe of cannibals solicits more exchange students,” it says! 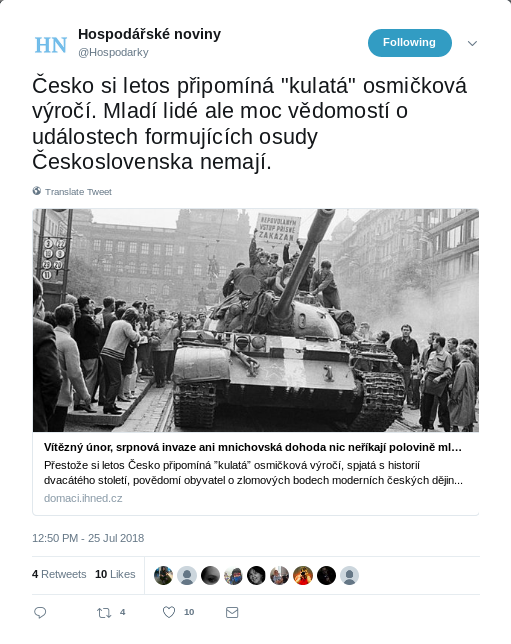 And check out that picture – isn’t it a riot? “We are hungry. Hungry for knowledge,” the headman explained. The piece is topped off with a brief mention that this New Guinean tribe has put in an urgent request to meet with Angela Merkel, “to deal with this and other themes that are on the table.” Well, take a number: there are very many who want to meet with Chancellor Merkel these days, and about more urgent matters than feasting upon Western scholarly knowledge, or possibly just some Western scholars. 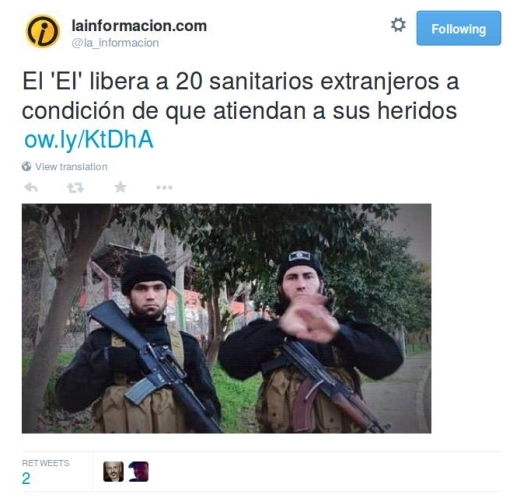 Those 20 sanitarios extranjeros are foreign personnel ISIL soldiers recently captured while taking over a hospital; they are mostly Filipinos but also other nationalities such as Ukrainian, Indian and Serbian. They were told that “if they wanted to continue to live” then they would be expected to continue living in the area and continue their work at the hospital, which of course would largely be transformed into a medical facility for treating ISIL fighters. Now, the first important stipulation to this report is that all of this took place in Libya, near the port city of Sirte which was ex-Libyan strongman Muammar Gaddafi’s home town and also where he was finally tracked down and killed. These militants are said here to be “jihadists” from the “Islamic State,” but we have to remember that the Islamic State/ISIS/ISIL proper – the one operating in Syria and Iraq – has lately taken to franchising its operations, to Libya and to Nigeria: so these are but Islamic State franchisees. Probably a bigger stipulation about this story is that it is ludicrous to believe that these hospital employees can just be ordered to continue their work, under ISIL occupation, and that everything can go on as before. Who pays them? How much? Who procures the hospital’s needed supplies? What happens when/if those opposing these “Islamic State” forces counterattack to take back this territory? Some of these questions can no doubt be answered by looking at similar institutions in the captured Iraqi city of Mosul – although Sirte is quite a bit smaller than that, and the unique aspect of this story is the new way these fighters have come up with here to make these Libyan hospital personnel “loose” sorts of hostages – slaves, really. But at least we are spared quite a few more grisly execution videos. Side-note: It’s easy to see the two ISIL soldiers in the pictures are carrying very different types of weapons. In fact, the one on the left is carrying an M16/M4 type assault rifle (civilian version: the AR15) which characterizes American and American-outfitted forces. Hard to figure that one out, if these guys are supposed to be in Libya. Easier to figure out if they are ISIL in Syria or Iraq: the equipment was captured from the Iraqi Army. After the glance back into Spain’s past last time, I thought a look into that country’s future might be in order. 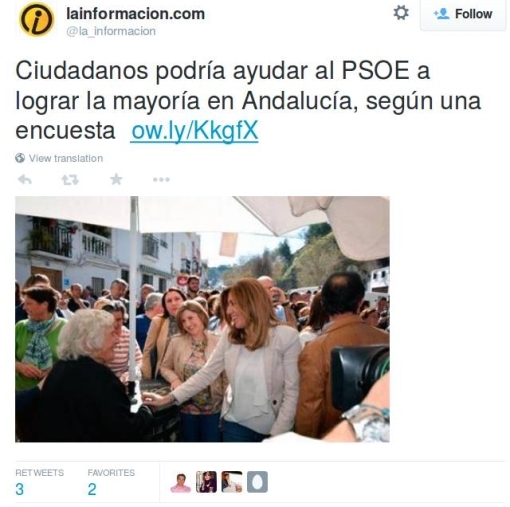 First off: you’ve perhaps heard of the new political party there Podemos, but have you heard of Ciudadanos? 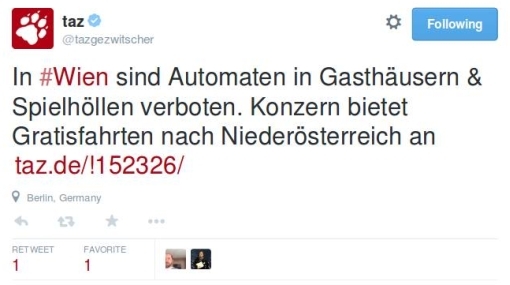 The name means “citizens,” and that is another recently formed politial party there. 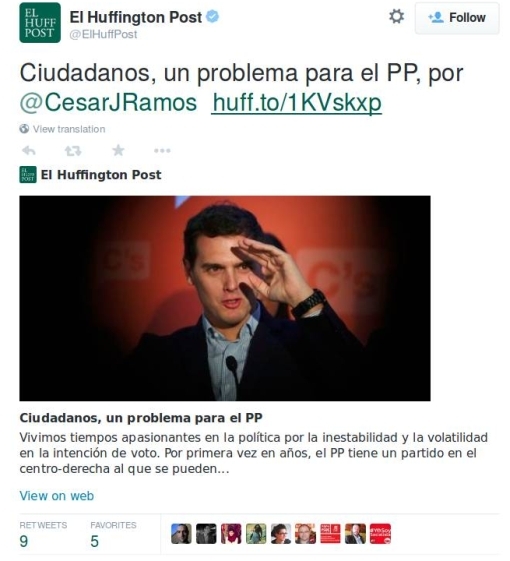 The writer of this piece in the Spanish edition of the Huffington Post, César Ramos, is a politician from the mainstream leftist PSOE party (the Spanish Socialist Workers’ Party – formerly of Felipe González). 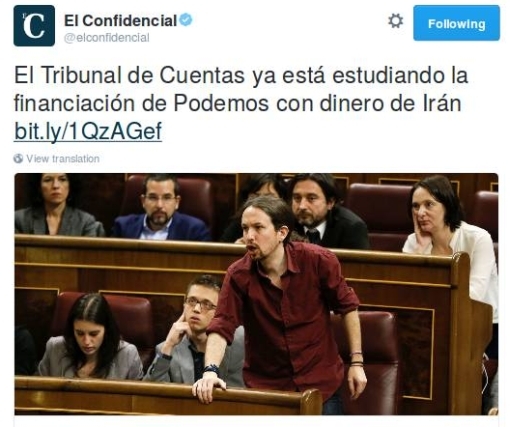 Yet he sees potential in this new political formation, mainly to put an end to the monopoly of the Popular Party (Partido Popular, now in power under Prime Minister Mariano Rajoy) of the political space on the Right. No, we don’t mean there’s been a new crime-wave perpetrated by cripples criss-crossing the Old Continent; nor (even though this is a little bit more likely) some illicit fund-raising campaign undertaken by ISIS fighters having had to return from their MidEast adventures due to grievous upper-body injuries. Rather, for “one-armed bandit” here we are referring to the slot machine, that most-insidious piece of gambling equipment capable of enchanting for hours – and many dollars, euros, or what have you lost – on end quite considerable cohorts of people with the particular psychological disposition to be so captivated. Especially in it most-modern incarnation, i.e. those machines governed by internal software, far from offering players any “fair” game it is rather carefully programmed to manipulate the sucker sitting before it so as to extract the maximum of money. A modern-day societal plague, in short; yet thereby irresistible to those businesses, and occasionally even governments, which can manage to gain permission to make the investment into equipment and then set them up so as to start preying upon the passing parade of suckers. As is the case in all democratic societies, it is healthy for top government officials occasionally to get out and mingle among their constituents. 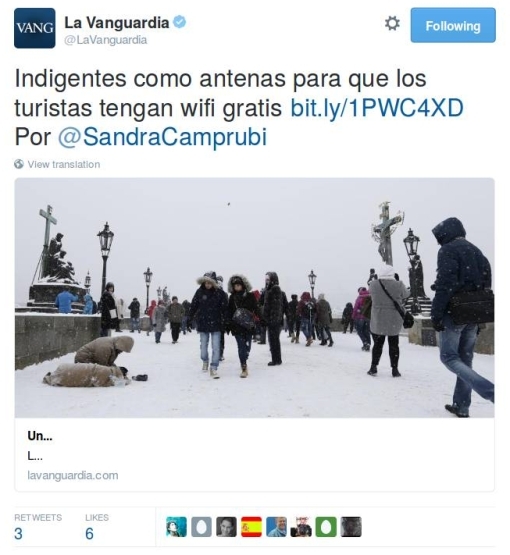 That’s why Spanish government spokeswoman María Soraya Sáenz de Santamaría Antón recently was in Germany, as El Huffington Post reports. In Germany?! Why sure: unemployment in Spain itself has gotten to be so bad that legions of Spaniards – those with true initiative, who in past centuries would have headed over to the Western Hemisphere – have moved to Germany to find places for themselves in the much better economic situation there. Brace yourself for the tide of funny stories sure to come as these two very different cultures collide – most expat Spaniards, for example, won’t even yet have an appetite at the outrageously early (for them) hours when they will find Germans sitting down to their evening meal. Further, there are the two rather different languages. For what it’s worth, new Bayern München coach Pep Guardiola has seemingly dealt with that problem rather well (video here of his first Munich press conference), although I hasten to add that his own move there was hardly prompted by the same economic concerns. 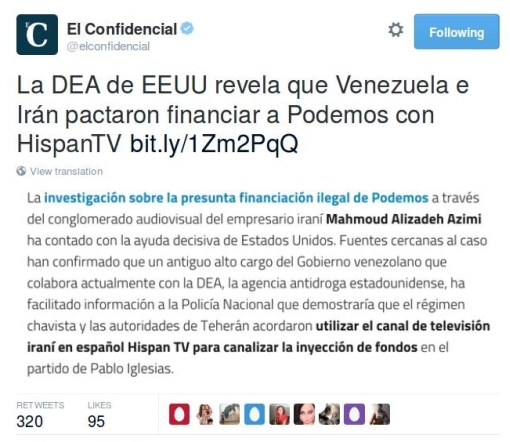 Turns out that much of what the Spanish government is trying to do about it actually involves Germany. On the show she expressed her admiration for that country’s apprentice-based youth training system and her government’s intention to adopt something similar. More concretely, Spain and Germany recently agreed to have 5,000 students from the former be trained within that system in the latter country. But then the inevitable follow-up: Aren’t you afraid that most of those 5,000 will then simply stay in Germany after their training? Her response: “What we want is to create employment in Spain so that young people can freely decide whether they want to work in Germany or in Spain.” Well, indeed: let’s hope that Spain can make enough progress on the employment front to give itself at least even odds as the home country versus some other country when it comes time for young people to decide where their future lies! But no worries. Ms. Santamaría further announced on behalf of her government an upcoming “program of reforms such as have never been seen in democratic history” to fix the national labor market and solve the problem. 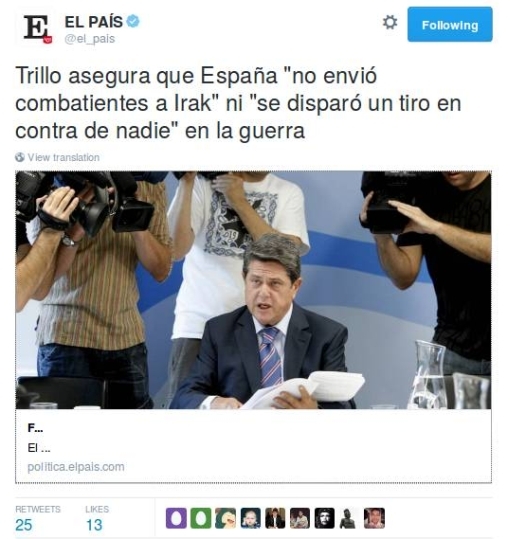 Spaniards now settling in Germany are also finding out how much less the natives are prone to hyperbole. Sorry – it’s the Olympics again! I swear that I’ll go find some other hobby-horse right after this post, but I just happened to come across an article in El País – and you know I don’t ordinarily discuss the Spanish press – with the irresistible title Olympic Dream Maybe, But “Low Cost”, by Bruno García Gallo (the “rooster”). But Spain: how could something like this come from Spain? However, this is not your father’s (or at least your grandfather’s) Spain, that dictatorship of the Caudillo propped up by an unreformed and reactionary Catholic Church. 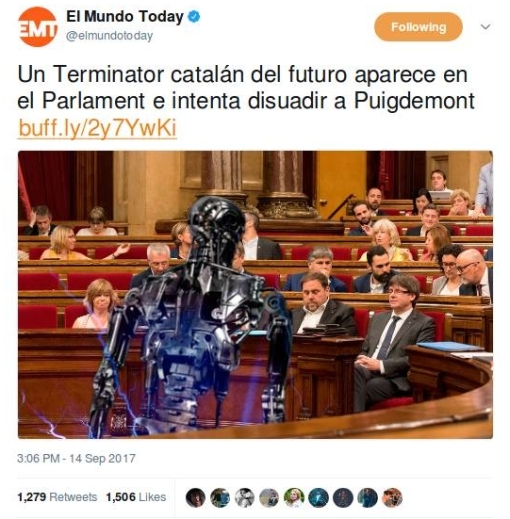 It has changed, dramatically, and the watershed was in 1975, when dictator Francisco Franco’s death and the resulting return to democracy (institutionalized in a new constitution of 1978) prompted Spain to some extent to swing way to the other extreme and become an “anything goes” society. Abortion was legalized as well as divorce – together with, more recently, gay marriage. Cinema aficionados can refer to the award-winning films of Pedro Almodóvar for a series of (slightly exaggerated) portraits of this new prevailing culture – prevailing in Spanish cities, at least. But you kinda like the music? Spain is not among those countries listed over on the left side, under “Publications that I monitor, by country.” But that doesn’t mean that I couldn’t systematically cover the Spanish press as well, if I so chose. It’s more a matter of where my interests lie (more in Central/Eastern Europe than in the Iberian Peninsula) and my degree of comfort with the language, determining how quickly, comfortably, and effectively I can read texts.